Pretoria, also known as Tshwane, is the administrative capital of South Africa. Having been established in 1855, it has a rich history that permeates every aspect of its character and charm. When visiting Pretoria, which is the scenic neighbour of Johannesburg, it makes for a real treat to explore its historical attractions in Pretoria, delving into the people and events of yesteryear. This appeals to young and old alike, making a historical tour of the city a fabulous option for families on vacation. Situated in Arcadia, this museum is open to the public from Monday to Saturday and offers free entry. It is home to an impressive collection of publications, not least of all rare manuscripts, maps and government documents that make for fascinating reading. It is made up of the merging of the South African Library (which was in Cape Town) and the State Library in Pretoria. A major part of this institution is the promotion of writing, publishing and distributing of books in all 11 of the national languages of the country. As a monument dedicated to Democracy, Freedom Park is open to anyone who wishes to explore it, and free tours are conducted three times per day (except on some public holidays). The entire park is a symbol of the arduous, sometimes tragic journey to achieve the freedom that South Africans enjoy today. From the heights of Salvokop, the views from Freedom Park are also rather special. Placed within the perfect setting of an elegant old Victorian mansion, the Sammy Marks home was established in 1884. It was named after one of the front-runners of the establishment of the Republic of South Africa and tells the tale of the South African mining and agricultural industries of yesteryear. Home to Field Marshall Jan Smuts and his family, this museum was declared a National Monument in 1969. It stands as a testament to a fascinating part of the South African history and context. 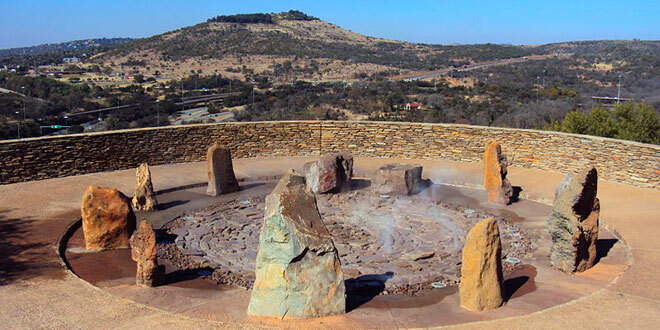 In addition to the museum, there is also an enticing picnic area as well as a choice of a few walks for those wanting to enjoy the fresh air and sunshine of Gauteng and Tshwane. This is known for being the last house in which South African President, Paul Kruger, lived (1883 to 1901). It is situated close to the bronze statue of the same man, and tells the story of his ideals and ruling strategy, as well as of the country at this time. The museum contains his personal belongings as well as the state coach and Kruger’s private railway carriage.